Intended use: Conditioning/recovery runs, heavy runners. 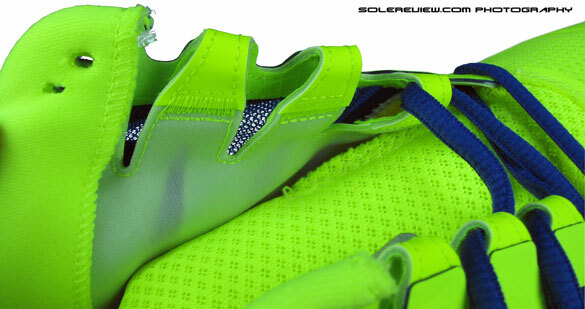 Outsole: Blown rubber in the forefoot, Carbon rubber in midfoot and heel. Weight: 340 gms/11.99 Oz for a half pair of US11. With updated upper materials and construction, the Nike Zoom Vomero 8 is a definite improvement over Vomero 7, which was terrible. Going by the past few versions, it is clear that Vomero is no longer the pillowy, plush shoe it used to be. It is a well cushioned shoe with a supportive upper, but with an overall firm ride. The upper felt like it was transplanted from a $40 shoe, and it fell awfully short of the benchmarks which runners had come to expect of the franchise. The world did not end in 2012 as the ancient soothsayers predicted, but the dark prophecy did appear to come true for the Vomero. The 2013 Nike Zoom Vomero 8 is a redemption of sorts, trying to make amends for sins of the Vomero 7. Though sole unit remains unchanged, the upper progressively takes a turn for the better, improving areas where the Vomero 7 was found severely lacking. Take the material of upper overlays, for example. The new Vomero 8 sees extensive use of no-sew, fused overlays which helps improve flexibility and upper comfort while reducing weight and lending the shoe a streamlines aesthetic. The use of no-sew material results in a 5% weight loss, which is welcome. The toe box area is worth mentioning, where a revised toe bumper (fused, yes) gives the front a much better shape, while eliminating the need for a synthetic leather ‘bridge’ between the lacing area and toe bumper. The entire forefoot area looks much cleaner now, and to keep the toe box propped up without any overlays, the Vomero 8 makes use of invisible, internal toe puff material on the sides. We’d like to point out that the fused material on the toe box curves in partially over the big toe and covers it from the side. This gives a sensation of support around and above the big toe, which feels reassuring during runs. The Zoom Vomero 8 has invisible stiffeners on the upper forefoot base, the purpose of which is to give structure to the open mesh area. Nut during runs, we found out that these inserts bend inwards and the pressure was felt at the base of the small toe. You’ll notice straightaway that the mesh package has been upgraded too. The tongue and the toe box mesh on the Vomero 8 is a spongy, dual layered mesh which scores higher on ventilation than the 7. It feels snug and nice over the foot while running, very unlike the Vomero 7 mesh which had no feedback. Under the tongue and around the collar, the inner lining is now of a much superior quality. It has a smooth texture, and the result of combining that lining material with padding foam and the upper mesh is a superior level of overall fit, when compared to the older Vomero. But while it betters the Vomero 7, it is still far from perfect. The heel counter is molded too wide, and the rear foot feels noticeably unsecured. This has been fixed in the 2014 Vomero 9 upper. The tongue feels better than the previous version due to material changes, but continues to disappoint with its un-gusseted construction. The tongue slides to one side even before you run the first few hundred yards, and continues to stay that way with all the unyielding stubbornness of rush hour LA traffic. There is a lace loop on the tongue top, but isn’t of much help other than keeping the tongue from completely disappearing sideways. Tongue slide, while in no way detrimental to running form, is an annoyance which runners could live without on a $130 shoe. On the bright side, there are some new, useful details included in the Vomero 8. The Achilles heel tab has a deeper U-shaped dip, allowing the foot to move freely during push offs, when the angle between the foot and the leg is highest. Reflectivity is a new found focus on the Vomero 8. 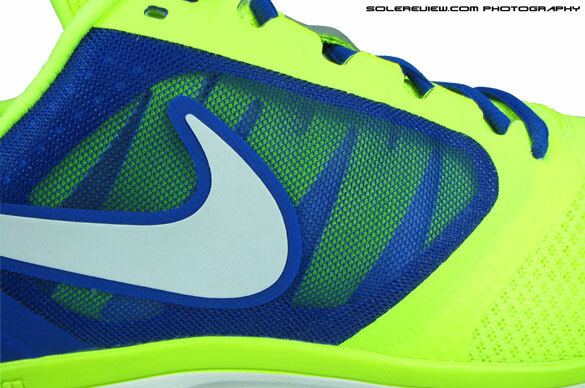 Both side swooshes are reflective, and so is the heel area. Up front, the tongue lace loop is given the shiny treatment. A far cry from the Vomero 7, where it was a struggle to find reflective strips even if you tried using an industrial duty Maglite in broad daylight. The mid foot support system is different from the Vomero 7, but the set up felt and looked familiar, because the design cues borrows heavily from the 2012 Nike Free Run 3. Open mesh window in the mid foot, with internal support structures extending all the way up from the base and connecting to the laces; the big Nike Swoosh logo welded on, with the pointy end stretching towards the heel. So much so, if we to sever the Vomero 8 upper from its base and fix it on a 2012 Nike Free outsole, people will be hard pressed to tell the difference except for the bulked up collar area. But what worked well for the Nike Free Run 3 also works well for the Vomero 8. The mid foot straps support the narrow waist of the foot from both sides and prevents it from sideway lean. 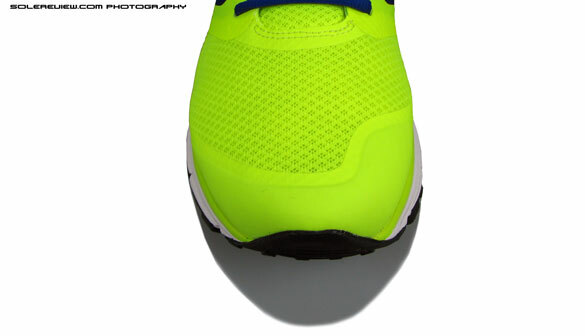 Arch support has never been an issue in most of Nike shoes, and the Vomero 8 does well here too. The mid foot strap and the arch flare of the Ortholite drop-in sockliner work together to prop up the arch area. We’ve become fond of the Nike’s Ortholite ‘Fitsole 3’ sockliner. It is a good layer to have between the foot and the firm midsole – the Fitsole 3 feels a bit like memory foam, and the pronounced cup like curves from the heel to arch area keeps the foot in place. 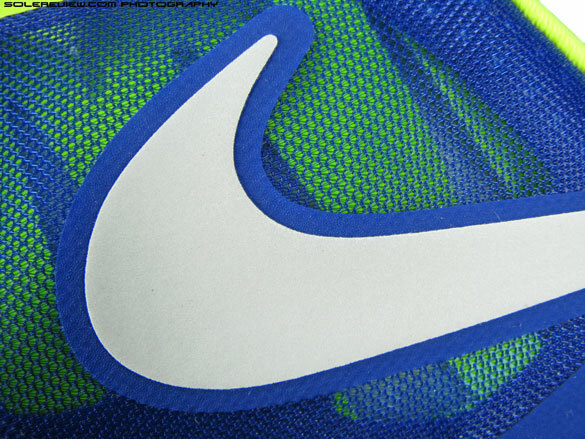 This is the same insole used in the Vomero 7, and good call by Nike not to mess with something which performs well. The midsole and outsole combo carries over from Vomero 7 (and good heavens, it hasn’t changed in the 2014 Vomero 9 either) so running in the Vomero 8 feels the same (upper down) compared to the 7. Which is, firmer cushioning compared to Vomero 6 (and earlier), and a stiff forefoot. Heel to toe Cushlon midsole has been an old faithful with Vomero’s, and no exception here, delivering resilient cushioning. The heel and forefoot areas in the midsole have Zoom Air inserts, Nike’s Air bag construction which uses a drop stitch construction. 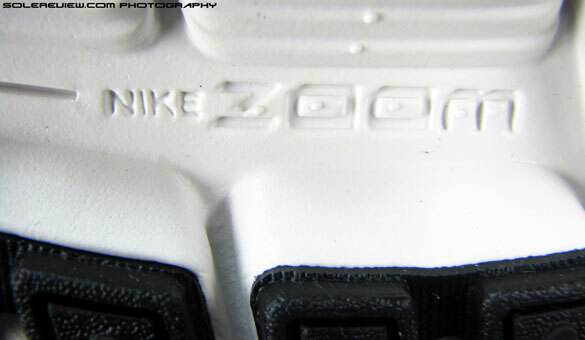 Of all Nike Air bag types, the Zoom Air is our favorite because of its low profile and responsive nature. That said, there is a disadvantage of using Zoom Air bags in the forefoot. These pressure filled air bags are tightly sprung things, and it interferes with the flex dynamics of the shoe. Try this – if you have a Vomero 7 or 8 (or 9 for that matter), apply pressure with your hands to flex it in the forefoot. While the two forward flex grooves will bend easily, the third one will struggle to flex naturally, and that is because of Zoom Air bag which gets in the way. And if you pay close attention during runs, the zoom air bag comes across as a slight lump due to the material difference. It is not a deal breaker, though. The Nike Zoom Air unit is a proven workhorse, easily being one of the most responsive cushioning platforms in the industry. At the same time, we wonder if anything is holding Nike back from using articulated Zoom air bags for greater forefoot flexibility. 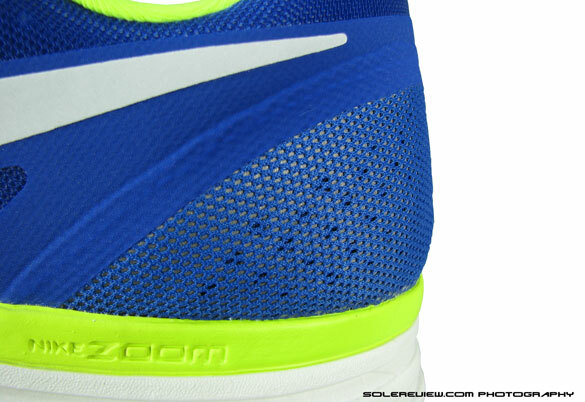 In the rear, the heel Zoom Air bags sit below the foam strobel and a piece of hard cardboard. We pointed this out in our review of the Vomero 7, but this time there is a small change. Instead of the thin strobel fabric in the Vomero 7, the version 8 uses a foam layer on top of the cardboard (which is visible through the small hole in the heel). 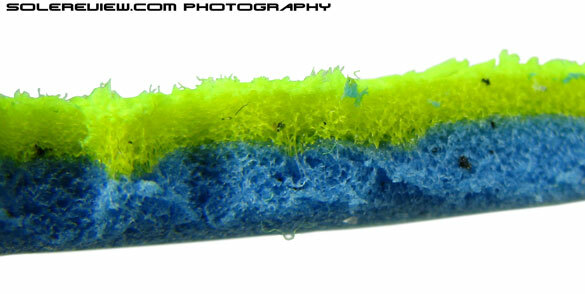 Reduces the extra firm feeling of the Vomero 7, but only so much. 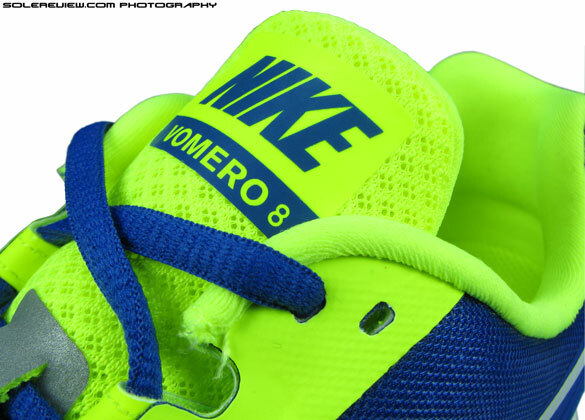 Going by the Vomero 7, 8 (and now 9, which uses the same sole), it looks that the Vomero has changed in character for good. Runners who remember the cushy Vomero of the old (version 6 and earlier) and seek similar levels of plushness should look elsewhere. Neutral-cushioned alternatives in the $130-150 range would be the Asics Gel Nimbus 15 and Brooks Glycerin 11. The Nimbus 15 is a super-plush running shoe with some compromise on stability; the Glycerin 11 is a great balance of cushion and stability. We might also add the Vomero and the Pegasus 30 don’t really feel very different. As was the case with Vomero 7, the Pegasus just comes across as more value. 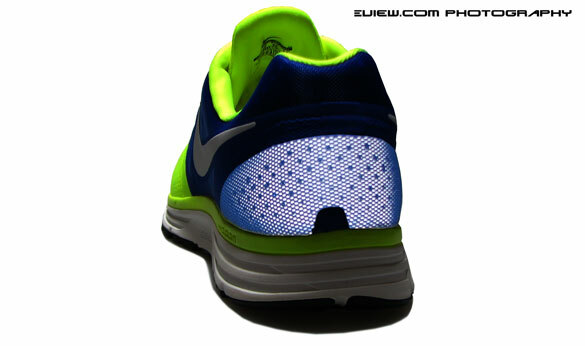 Just has one less Zoom air bag (forefoot), and rubber outsole under the forefoot instead of Duralon blown rubber units. And you save $30. The Vomero 9 is out too, and here’s our review. But for reasons we’ll explain in that review, we’re not exactly excited. Read our review to know why.